The 6th International Workshop on Evolutionary and Reinforcement Learning for Autonomous Robot Systems (ERLARS 2013) will take take place in Taormina, Italy on September 2 2013 in conjunction with the 12th European Conference on Artificial Life (ECAL 2013). Meanwhile, the proceedings of the 5th International Workshop on Evolutionary and Reinforcement Learning for Autonomous Robot Systems (ERLARS 2012) have been published online. Please see the ERLARS 2012 site for details. 1999: Diplom degree in Mathematics at the University of Bremen (Germany) specialising in Dynamical Systems and Optimisation. The Diplom thesis presents an Image-based Visual Servoing controller for a 6 DOF robot. 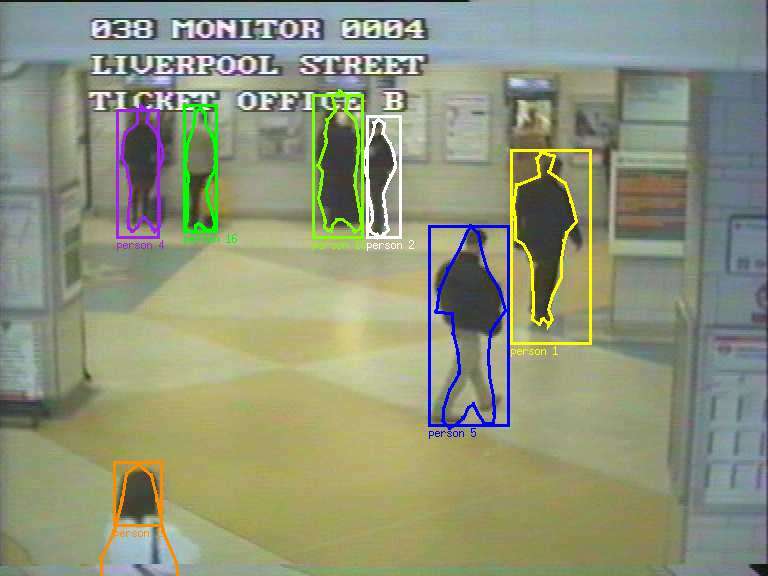 2000 to February 2003: Research on automatic People Tracking in Camera Images for multi-camera visual surveillance systems. The research was done in the Computational Vision Group of the Department of Computer Science, The University of Reading (UK). The resulting PhD thesis, the source code of the tracking software and relevant articles are available below. 2002-2004: Research on Software Maintenance (in particular, Re-Engineering) and Software Processes with members of The University of Reading's Applied Software Engineering group. 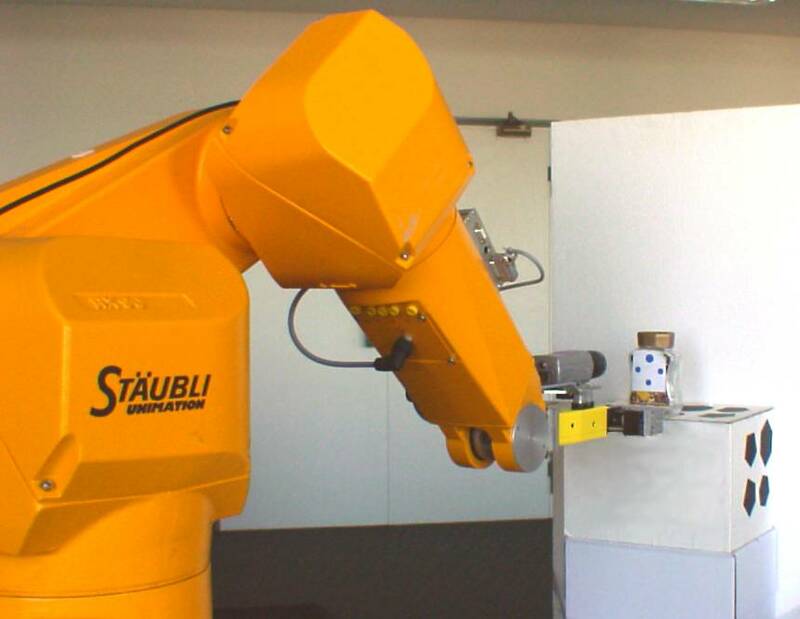 2003-2009: Main research focus on Learning Methods for Autonomous Robot Systems while working as a post-doctoral assistant in the Cognitive Systems Group of the Institute of Computer Science and Applied Mathematics in the Christian-Albrechts-University of Kiel (Germany). 2009-: Professorship for Building Automation at the HTW University of Applied Sciences Berlin, Germany. Research on Intelligent Automation Systems, industrial and in the home. One focus: Building Automation and Security. Below you will find information and other resources on my past and present research as well as relevant publications. This includes the source code of the Reading People Tracker which I am maintaining. Following is a short overview over my main research areas. using a Trust-Region-based approach to achieve a very high robustness to model errors and noise. The evolutionary approach to neural network learning is explained on this page on Evolutionary Learning. Some results from both appraches can be found on this Autonomous Robots page. The task was to develop a software for robust People Tracking in camera images for automatic visual surveillance systems. The research was carried out within the European Framework V project ADVISOR which was concerned with the development of an integrated visual surveillance and behaviour analysis system. The People Tracker developed within this project is based on the Leeds People Tracker which was developed by Adam Baumberg. More information can be found on my dedicated People Tracking page. In what way influence software processes the quality and especially the maintainability of software? How can process diversity within the software maintenance process be classified and what special roles do these types of process diversity play? How can you increase the maintainability of software most effectively through re-engineering? What types of assertions should be used to improve code and in what way should they be used? How can assertions be derived automatically? How can assertions be adapted automatically when refactorings take place within the software? Please have a look at the relevant publications for more details. Most of my publications are available online. Please have a look at my Publications page for an overview. The following is a (short) list of software projects I am using and/or maintaining which are available online. high robustness of the tracker to image noise and occlusion through the use of redundant, different type trackers running in parallel, and the use of multiple tracking hypotheses (see ECCV 2002 paper or my PhD thesis for details). the ability to track multiple objects in an arbitrary number of cameras, writing out tracking results in XML format. scalability and much improved maintainability of the people tracker (see ICSM 2002 paper for details). new documentation for maintaining the People Tracker, including a well-defined and documented software maintenance process (see JSME/SMR article for a case study on processes). The Reading People Tracker is still being maintained. Its C++ source code and documentation can be downloaded from the Reading People Tracker software home page. During my time in Kiel I have been using the PACLib - Perception-Action Components Library by the Christian-Albrechts-University of Kiel's Cognitive Systems Group to implement vision-based robot controllers and was one of the maintainers of that library. Please refrain from sending any type of unsolicited advertisement to the addresses given above. Author of these pages: Nils T Siebel. Last modified on Sun Aug 28 2011. This page and all files in these subdirectories are Copyright © 2004-2011 Nils T Siebel, Berlin, Germany.